ePub is a popular e-book format. It can be read on most devices. 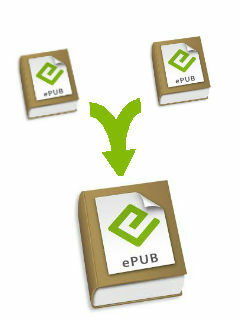 This web tool provides a function that can combine multiple epub e-books into one. You can put many of small e-books merged into a large e-book, easy to save and share.